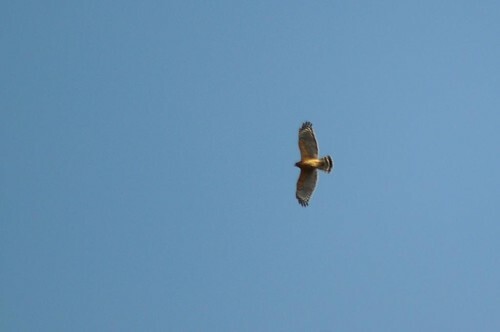 Temperatures reached in the 60’s yesterday with my first butterfly of the year “Mourning Cloak” (CHECK), courtship displays from Red-shouldered Hawks, and American Crows gathering nesting material. True signs that spring has finally arrived. I also saw my first of the year Ring-necked Ducks (CHECK) in Red House Lake along with Pied-billed Grebe’s, Bufflehead’s and Common Mergansers. 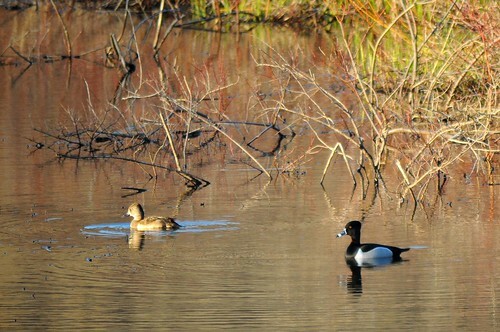 Hooded Mergansers, Woodduck’s and Mallards were found in many of the beaver ponds yesterday. It should be interesting to see what today’s amazing weather brings! This entry was posted on 20 March 2010 by mon@rch. 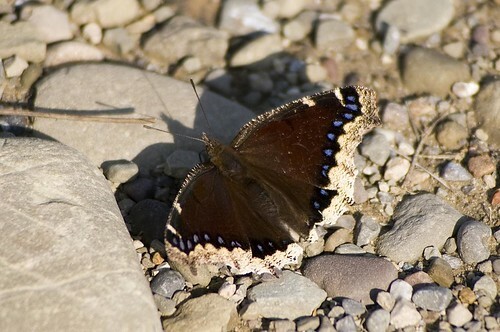 It was filed under Allegany State Park, Birds, bugs, Butterflies, Flickr, Nature, photography . Good to see spring is arriving in WNY. I’ll be following it north from Florida pretty soon.